The Royal Dalton House offers a uniquely designed neighborhood so that residents can live life with a purpose. Our controlled Memory Care environment provides all the services and amenities needed to take care of your loved one’s memory challenges. The Memory Care wing offers activities designed especially for residents with Alzheimer’s and Dementia. We take pride in providing residents with the stimulation they need on a daily basis. Some stimulation activities include pet therapy and sensory stimulation. We make it a point to preserve dignity and encourage independence. Our memory wing offers private or companion rooms. All rooms are equipped with the most up to date safety features. 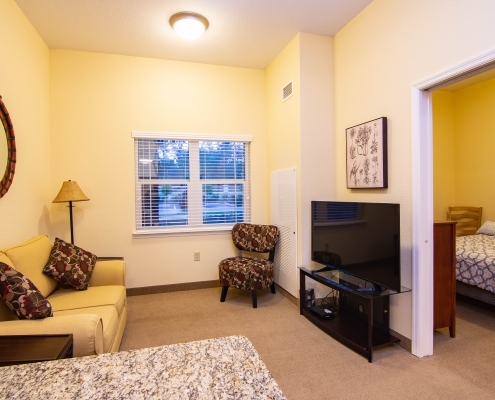 All residents live in private or companion apartments which are comfortable and inviting and include many safety features. Memory Care residents have a secure private courtyard so that they be stimulated and explore the outdoors. For tireless caregivers, The Royal Dalton House offers respite care rooms for short or long stays. No matter the length of his or her stay your loved will ones will enjoy all the amenities and social benefits we have to offer. We understand that sometimes you need a break. It is ok, we can take the burden off of your plate while you recharge. 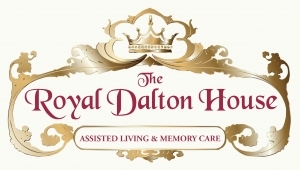 For additional information about Memory Care at The Royal Dalton House, please contact us today.